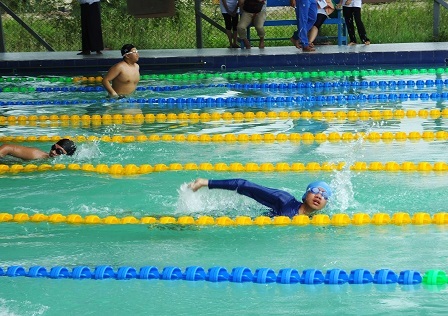 The First Myanmar Autism Games was held at the Myanmar Paralympic Sports Center in Yangon, Myanmar from 7 to 8 December 2016. 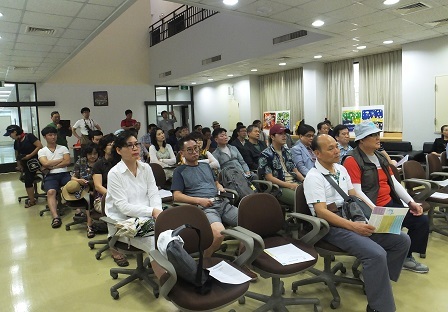 The event was organized by the Ministry of Social Welfare, Relief and Resettlement of Myanmar, the Myanmar Autism Association, the Asia-Pacific Development Center on Disability (APCD) and the Japan Foundation Asia Center, in collaboration with the ASEAN Autism Network (AAN), the Ministry of Foreign Affairs of Thailand, the Ministry of Social Development and Human Security (MSDHS) of Thailand, the Japan International Cooperation Agency (JICA) and other local partners. Over 700 persons with autism and their families from ASEAN countries took part in the event consisting of track and field, games and swimming. The Games was a pioneering event in Myanmar's sports history, which opened opportunities for persons with autism and their families and supporters to gather together at the national level for the first time ever. The ASEAN Autism Network (AAN) Executive Committee Meeting in Yangon, Myanmar from 7 to 8 December 2016 to get updates from members and to discuss future plans. Apart from an official acknowledgment of the Autism Network Singapore (ANS) as a new member, the Meeting also discussed key issues on autism in ASEAN with plans geared towards more awareness and inclusive mindset about autism in all ASEAN member states. The Government of Brunei formally announced the country's ratification of the United Nations Convention on the Rights of Persons with Disabilities (CRPD) during the commemoration of the International Day of Persons with Disabilities on 3 December 2016. 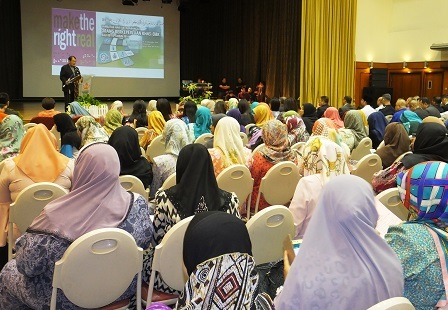 The event was held by the Department of Community Development under the Ministry of Culture, Youth and Sports of Brunei, the United Nations Economic and Social Commission for Asia and the Pacific (ESCAP), the APCD and other partners. Other activities included the announcement of the establishment of the National Council of Persons with Disabilities, which will be the key partner of the Government of Brunei in disability issues. 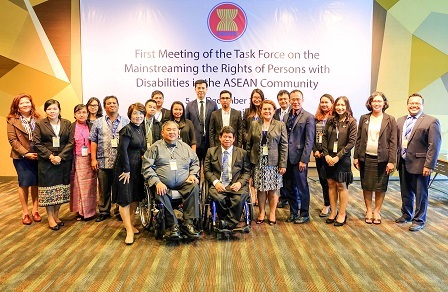 The First Meeting of the Task Force on the Mainstreaming of the Rights of Persons with Disabilities in the ASEAN Community was held in Bangkok, Thailand from 5 to 6 December 2016. Organized by the ASEAN Intergovernmental Commission on Human Rights (AICHR), the Meeting is an off-shoot of the Task Force conference in Chiang Mai, Thailand on July 2016. The Task Force is mandated to develop an inclusive regional action plan and includes representatives of DPOs and expert organizations. 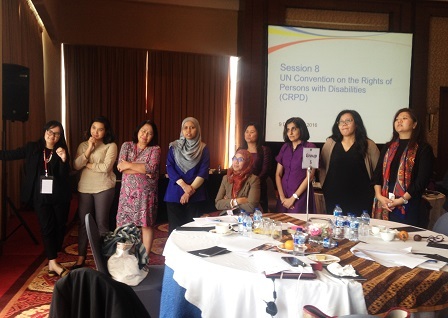 One of the highlights of the Meeting was the drawing up of a proposed framework for a Regional Action Plan to Mainstream the Rights of Persons with Disabilities in the ASEAN Community 2016-2025/2030 where various topics including general principles, action plans and accessibility were discussed. The ASEAN Secretariat, in collaboration with the Government of The Netherlands, organized a familiarization course on subjects related to human rights for junior officials from ASEAN Member States. 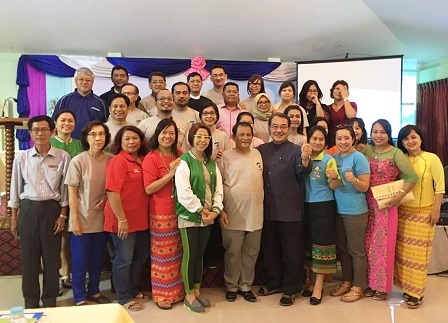 Titled 'ASEAN Secretariat Human Rights Training on Human Rights Mechanisms/Systems and Disability Awareness', the event was attended by participants from various organizations and government agencies from the ASEAN region. The resource person from APCD was invited to the Training to present on the topic of "Human Rights-Based Approach to Achieve Social Inclusion and Equality". 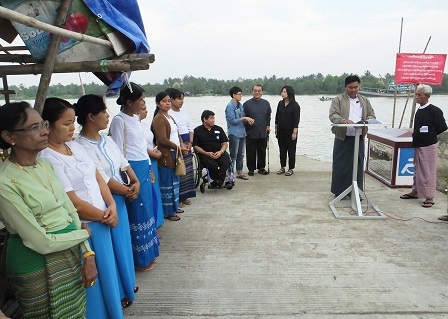 The APCD/JAIF Project continued with its monitoring activities, including the formal opening of a modified jetty accessible to persons with disabilities in Pyapon Township, Myanmar, as well as accessibility audits of rural markets from 7 to 9 December 2016. The modified jetty opening was attended by officers of the Administrative Office of Pyapon Township and APCD/JAIF Project Steering Committee members, among others. Apart from meetings with the Steering Committee members, the team also monitored accessibility features of Myauk Pine and Myo Ma Zay Gyi markets. Fifty members of the Korea Differently Abled Federation (KODAF) visited APCD on 13 December 2016 to learn how the latter is enhancing the protection of rights of persons with disabilities, as well as to establish mutual relationship for sharing knowledge about disability rights. Apart from learning more about APCD's regional activities and projects, the visitors also had a tour of APCD's accessible facilities and met with the trainees with disabilities of the 60 Plus+ Bakery & Cafe.